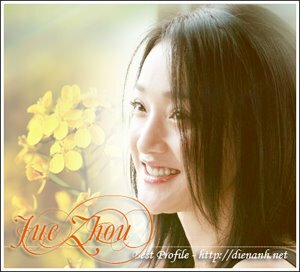 Zhou Xun: Runaway NaNa - 2005 ! This film Runaway Nana 走佬 Nana is by Daniel Wu, Zhou Xun 周迅 , Yang Yo Ning 楊祐寧, Huang Qing 黃卿. Daniel has already grown his hair long for Long Hate Song but for this movie, he has to grow it even more to play the role of a mysterious boxer. Zhou Xun will be filming for 9 days for this movie and then fly to Shanghai to continue. In April, she will continue with PERHAPS LOVE with Takeshi Kaneshiro. MingMing (ZhouXun) is a 21st Century martial arts princess and lady Robin Hood who steals for love. Her Prince Charming is D (Daniel Wu), a maverick fighter and irresistible rogue who posted this challenge to his swarms of female admirers - give him 5 million dollars and he'll run away with his benefactress. MingMing loses no time to rob Underworld boss Cat (Jeff Chang). While fleeing from Cat's henchmen. MingMing runs into Nana (also played by Zhou Xun). Not only is Nana a virtual look-alike of MingMing, she is also one of the D's girlfriends. MingMing make Nana to scapegoat for her theft. However, MingMing's secret admirer Tu (Tony Yang) mistakes Nana for her, an becomes her guardian angel. Just as thi identity mix-up is taking place. D disappears from Shanghai without a trace. The only clue he leaves behind is a cryptic phone message. The two girls search all four corners of the sprawling city but are left dismayed an disappointed. Even more dejected is Tu, who realizes that he means nothing to his goddess. As four lost souls weave in and out of each other's live in the maze-like metropolis, the dark forces of Cat are closing in on them.